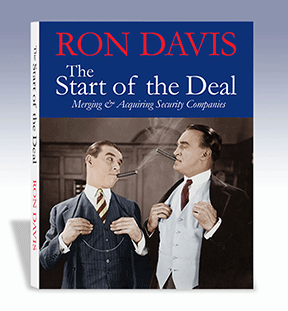 This is one the most meaningful books ever written, in any industry, about the art of mergers and acquisitions. The Start of the Deal contains much of what we know and have experienced while representing hundreds of dealers in the sale of their businesses. If you've ever wondered about what goes into a transaction, this book is for you! This is a must-read for anyone involved in buying or selling alarm companies. Anyone involved in buying businesses in the security industry. Any business broker. Any accountant with a client who is thinking of selling their business. Any lawyer involved in transactional law. Any CFO who may be asked to look into the process or anyone involved in the due diligience process. Anyone who is curious about how transactions are done. Anyone wanting to know more about the process and the industry. Order "The Start of the Deal" below. Special Offer — Get BOTH books for only $40! That's right, now you can have both "Greatest Ideas of the alarm industyr's greatest thinkers," and "The Start of the Deal" for only $40! Books sold separately below: $25 for Greatest Ideas, $20 for the Start of the Deal. Greatest Ideas of the Alarm Industry's Greatest Thinkers. 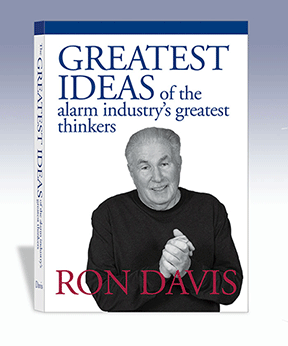 "Greatest Ideas of the alarm industry's greatest thinkers," now in hardback! Just $40.00. Order below.